This is our BETA forum page. Please leave any comments, questions or topics below. We have been asked to launch a forum by many visitors but we want to ensure there is enough demand before doing so. Just pop in and say “hi” if you have no particular statements to make. Based on response we will launch a full fledged forum here sometime in the future. 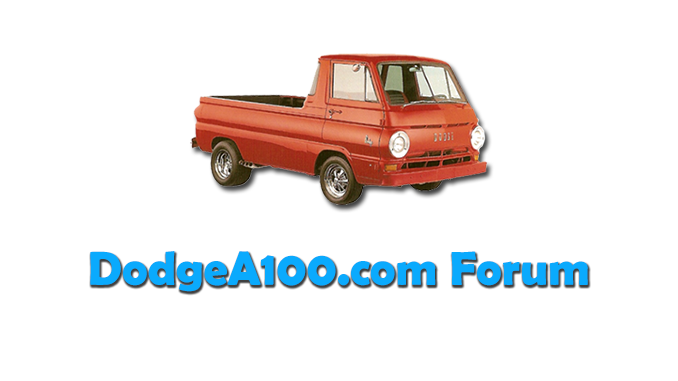 You can see other Dodge A100 community groups and other links on our Resources page. Looking for a front Chrome bumper with Brackets..
Nobody I’ve ever heard of. Not enough demand. Looking for body parts,panels. Have two A100 pickups,one 7 window cab. Any info welcome. Found a Web site for a Dodge graveyard some time ago but lost it, they had acres of old vans and I can use those parts. Got it in Hudson Fla, make me an offer im close to Tampa,St.Petersburg florida Make offer nice unit no dents plus ship or u pick up also have other parts see my ad in parts. Does anyone know where I can get some good condition exhaust manifolds for 1969 A108 8 cylinder? Looking for a shift cable… Does anyone out there have an extra one???? Help. any tips on where to find a transmission mount for 727 hooked up to a 318 on a 1967 A100 Van? Does anybody know the stock length of a shifter cable in a 1965 dodge a100. The cable in the van already does not seem to be correct. Anyone know where I can find some bumpers for my ’64 A100? I heard Econoline & bronco Bumpers MIGHT fit? Just picked up a 65 A100. Looking for sources to use for restoration. what was the stock tire size on a 68′ Dodge a108? 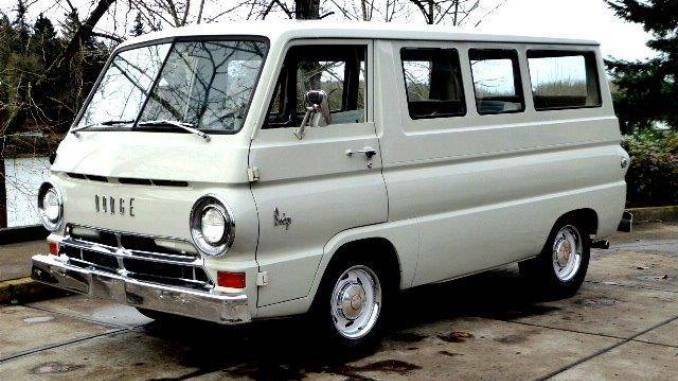 Looking for stainless trim #2584594 for a ’66 Custom Sportsman van. It’s the lower right side between the back doors and the side molding under large side windows. Any advice will be appreciated, I have a 1965 A100 and considering 17” Torque Thrust wheels over the 15” wheels any tips on figment would be appreciated. Still looking for my bumpers!?!?!?! Looking for 1967-1969 A100 slant six radiator fan shroud ? I’m after a external sun visor for a A100 with brackets to mount. Can anyone help me with a supplier to order from… Sorry I’m in England & have No such luxuries over here..!